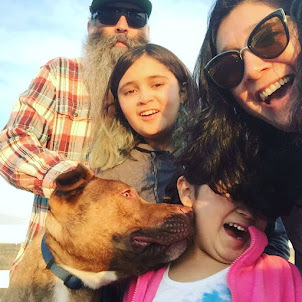 Punk Rock Parents: Picasso, That's Who! It's like an art class set to music. We love art around here. Our hallway is filled with art work by our talented friends and museums are one of our favorite hang outs. Joey and I have made it a priority to expose the girls to as much art work as we can. This cd by Hope Harris is filled with fun songs about some of the greats. Each songs give a little history lesson about an artist and their type of painting. 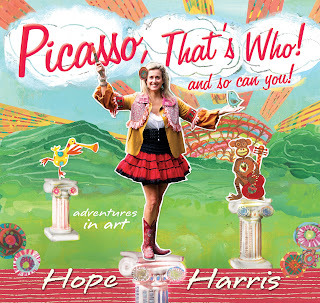 During our night time routine we have been listening to this cd and we all agree that the Picasso song is our favorite. I also like the Matisse song. I really think this album is the perfect companion for an elementary or junior high art teacher. These songs would make a great introduction for each artist. The only thing missing is a song about Frida Kahlo on it!